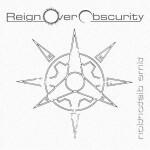 Reign Over Obscurity’s debut album, Time Distortion, delivers a medley of highly melodic guitar licks atop driving, energetic vocals. The challenging formation of the band, stemming from the instrumental “Rooband”, fosters an evident synchronization amongst each of the members. The arduous task of accommodating for new vocalist, Elias Parviainen, has proven to be worth the effort; three years after their initial formation, this carefully sculpted album is complete. The technical aspects of this album alone justify its long awaited release, with all of the tracks being composed by guitarist, Roo Chapus. I believe the band’s sound to be a strong example of the evolution of metal coming out of Finland today. 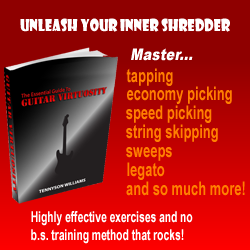 The song that captures my attention specifically is “Inner Strength”, originally composed as an entirely instrumental piece by Roo and featured on his 2008 album, “Guitar Without a Cause”. Evolving quite substantially since then, the track is highly complimented by vigorous vocals. The drum and bass tracks exhibit an injection of forcefulness as well, creating a song much more dynamic than its predecessor. Thus far, the vocals have been the highest point of contention amongst listeners; naturally so, as Roo’s previous records have all featured solely instrumental tracks. I believe this criticism to be valid for the “Cryptology”, as I find much more enjoyment in the instrumental synchronicity displayed throughout its entirety. However, I do not believe the same can be said for the track Wheel of Mind, where the harmonized vocals play an integral part in the song’s arrangement. I believe that the band’s decision to include a vocalist is a vital step in their advancement as musicians. The group has entered a new arena, one much more expansive than their previous niche and I believe they have executed this transition quite effectively. Among the vast catalog of debut metal projects, Reign Over Obscurity has managed to realize its title. This group comes forth with an intricately crafted album, tediously produced over a span of three years. The effort put into Time Distortion is clear in all facets of arrangement, composition and production. I look forward to future projects to come from this band and would highly recommend lending one’s ears to the sounds put forth by ROO. Roo has been a strong supporter of Shredaholic over the years, and we really like the direction his music is taking with his new band. Helsinki, Finland: Finnish band, formed by french guitarist Roo Chapus, Reign Over Obscurity announces today the release of their debut album “Time Distortion”, March the 30th on the label Mad Guitar Records. 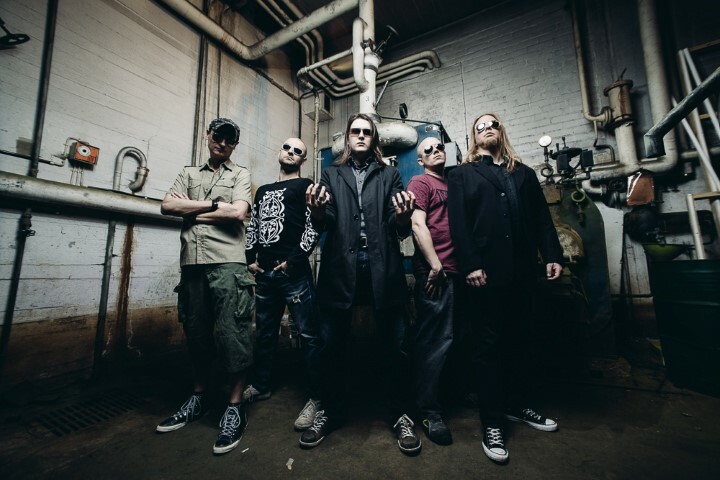 Formed in 2012, Reign Over Obscurity, whose sound is compared to Megadeth, Dream Theater and Rush, is a blending of sharp harmonised guitar riffs, super melodic, yet aggressive vocals and catchy choruses that serve compact crafted songs. The thematic elements explore science fiction atmospheres, the downside of the human condition and its hidden truth.